Once known as the “West’s Most Western Town,” Scottsdale is rooted in frontier values, ranching and farming, hard work, connection to the land and rugged individualism. The city has grown and developed from a small ranch town into an exciting and vibrant place to live and work, but these original values remain a part of the fabric of the city. Spend some time getting to know Scottsdale, from its frontier town roots to today’s burgeoning cosmopolitan city, and you’ll find that there is a reason it has been ranked among top cities in the nation in which to live. Livable can mean many things, but to me, it means that the city offers local, walkable and bikeable options; supports small businesses, and is community-oriented. These are all elements that Scottsdale actively fosters and are found throughout the city. In Scottsdale, we are seeing a return to an effort to live locally. This attitude is immediately obvious in the access to and protection of the natural desert, the support for small locally-owned businesses and restaurants and the increased emphasis on local production and quality of life. Take a tour of Scottsdale with a local lens and see how the city measures up in its efforts to live local in the 21st century. To kick off your exploration of Scottsdale’s local culture, first head to the Museum of the West and get a picture of just what I mean by “frontier roots.” A walk through this incredible facility will help you understand the stories and circumstances of the settlers who explored the mountains and desert of the American West. Much of the landscape they encountered was harsh and unforgiving; it was only with determination and ingenuity that towns like Scottsdale began to grow and flourish. Those same frontier qualities continue to drive Scottsdale’s residents and influence community growth in new ways. Check out Local First Arizona to build your own itinerary of must-visit locales. Organizations like Local First have made it easy to find and support small locally-owned businesses. More and more residents are taking the leap to open doors as independent business owners across all industries. Where we really see this thrive is in the focus on food, artists and food producers, and the importance of community spaces. At the heart of the community, food producers pay homage to Scottsdale’s roots as a self-sustaining and independent frontier town. This past decade has seen a resurgence of small locally-owned farms in Scottsdale. Singh Meadows grows and sells vegetables and fruits on a former golf course just south of Scottsdale. They also feature other local purveyors and have a walk-up window where you can order homemade treats (try the focaccia bread!) and pressed juices. Open weekends; hours vary by season. 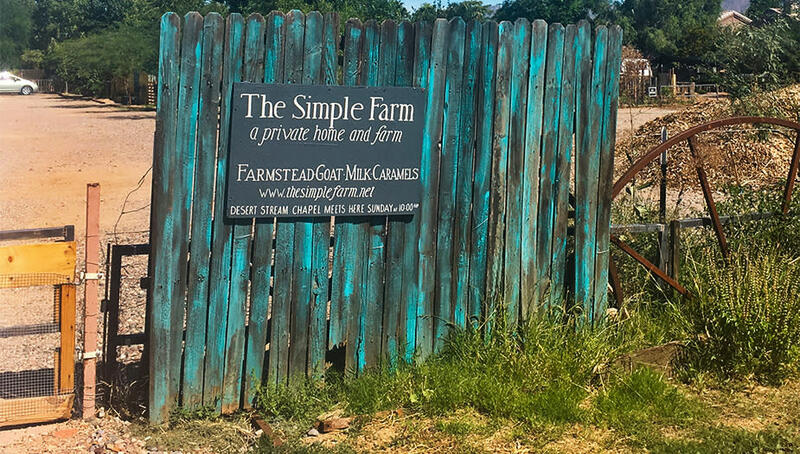 The Simple Farm is another example of Scottsdale residents turning back to a simpler (pun intended) way of life. Visit the seasonal Thursday morning market at the Simple Farm to buy delectable hand-made goat milk caramels, flowers and other handcrafted items. A visit to the FarmShop at the Simple Farm transports you to a place where the beauty of local production is obvious, a swiss chard bouquet is both food and decor, goats and garden rows are tended to with the utmost care, and harvest is a meditation of thanksgiving. In these farms, growing food is a way of life and the dedication to their products carries through to restaurants who serve locally-sourced food and ultimately consumers who gather together to enjoy it. In addition to these small urban farms, coffee roasters like the Village Coffee Roastery and Roc2 Coffee, small batch honey producers, and artisans of every stripe make an appearance at Scottsdale’s Old Town Farmer’s Market, held weekly on Saturday mornings October – June. A step beyond production is consumption, and the thriving food scene in Scottsdale provides an important intersection between the producers and consumers. Restaurants are making the conscious decision to source their ingredients locally and seasonally, supporting nearby producers, and bringing customers together to be entertained and delighted by all that this city in the desert produces. 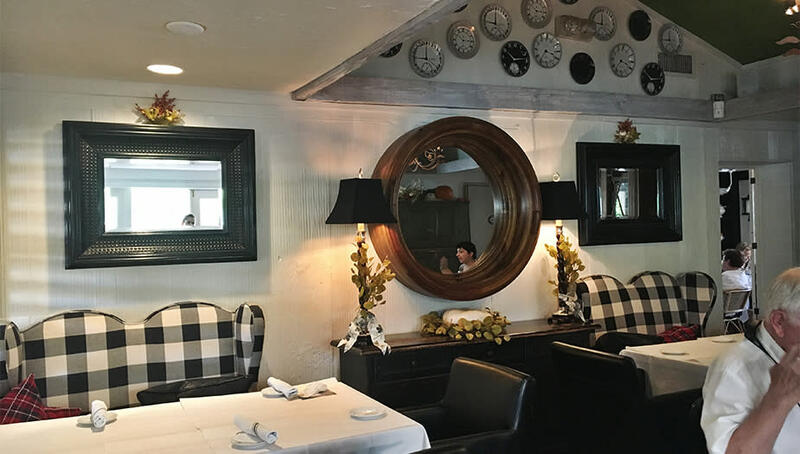 Fill your entire weekend with local food options by having breakfast at Arcadia Farms, dining at the Pig and Pickle for lunch, and completing your day with dinner at acclaimed FnB. Community is built around the table, and it seems every day that more restaurants take steps to showcase ingredients that are fresh, local, seasonal and simple. Community is also built in activity. Scottsdale was named as one of the best cities in the country for living an active lifestyle. Naturally, with Scottsdale’s incredible climate, active typically means outdoors. The city’s emphasis on developing multi-use outdoor space and protected wilderness shows a determined effort to create the opportunity for groups, families, and individuals to improve their quality of life. For a more low-key activity, walk along the Scottsdale Waterfront in Old Town or the canal paths and the multi-use areas on the greenbelt at Indian Bend Wash. All are easy to get to from Old Town’s bustling hub of resorts and restaurants. For next-level desert rejuvenation, Scottsdale residents head to the McDowell Sonoran Preserve to hike, bike and run the extensive network of beautifully designed trails. All of these public spaces serve as places to decompress, relax and spend time with friends and family in a truly “Scottsdale” way. The “new local” is a lifestyle where individuals, businesses, and city government put the quality of life above all else. Relax in Scottsdale while getting to know the important pieces that make this a strong community rooted deep in those frontier ideals of individualism, determination and simplicity.